The international (and Indian) students are already in a state of high tension after the US Government made significant changes in the immigration and visa rules. The recent scrapping of the 457 visa category by the Australian Government made the case worse. The UK has stopped the post-study work visa long back in 2011-12. Things are no different in Singapore and New Zealand. Students and parents are getting apprehensive about studying abroad; and why shouldn’t they? After all, everyone would like to work in the destination country to gain international work experience and to recover a significant part of the studying costs. However, bright and deserving Indian (and international) students are highly unlikely to get affected due to all these turmoil. It’s true that all the countries are making their visa and immigration rules more stringent than ever. But, qualified and skilled students and professionals will continue to enjoy the post-study work opportunities in the foreign countries. The Australian Prime Minister, Malcolm Turnbull, recently announced the scrapping of the 457 visa category. But, the 457 category hasn’t got too much to do with the post-study work opportunities in Australia for the international students. The 457 visa category is for skilled workers who apply for residency and work permit from outside Australia, and don’t necessarily hold an Australian qualification. International students can stay and work in Australia after finishing studies under the Temporary Graduate Visa (subclass 485). The visa has got two streams. Graduate Work Stream: international students with certain qualifications and skills can stay in Australia for 18 months. Here is the list of occupations in order to be eligible for this category. Post Study Work Stream: under this category, international students with advanced qualifications (MRes and Ph.D.) and skills set can stay in Australia up to 4 years, regardless of the field of study in Australia. Both routes will require work experience. So, if you are thinking of doing a Masters without having significant job experience, be careful with Australia! Few job categories and occupations have been scrapped from the list. So, if you are going to study Bachelor or Masters (MSc), you need to be careful with the field of study. For example, if you are studying Biotechnology, Biochemistry, Food Technology, Business Studies in Australia – things would be tough. However, prospects are bright if you are looking at to study Actuarial Science, Agricultural Science, Biomedical Engineering, Computer Science, Systems & Networking, Mechanical Engineering, Civil Engineering, Electrical Engineering, Telecommunications etc. So, the key would be choosing the right subject field and the right university. It’s time to seek the advice from study abroad experts and admission consultants rather than the agents and dodgy education consultants. India is full of scrupulous agents and education consultants. Besides, the marketing agents advertise themselves as the education consultants. Things are getting tight, so you need to careful with your decisions. The US is by far the most popular study abroad destination for the international, as well as Indian students. The policies by Donald Trump and few recent hate crimes have made the parents and students worried. The hate crimes are absolutely unfortunate. But, they do not reflect the whole situation in the US. These kinds of events happened in other countries as well. So, these are merely one-off events. The US has cultivated its reputation as the global beacon for education, research, and innovation over decades. Now coming to the working opportunities in the US after studies, international students are unlikely to get affected significantly due to the revised immigration policies. International students can stay and work in the US, for a total of 12 months (29 months for STEM graduates) after completing their degree. It is highly unlikely that changes in the immigration laws will impact the development, and the education policy surrounding it. 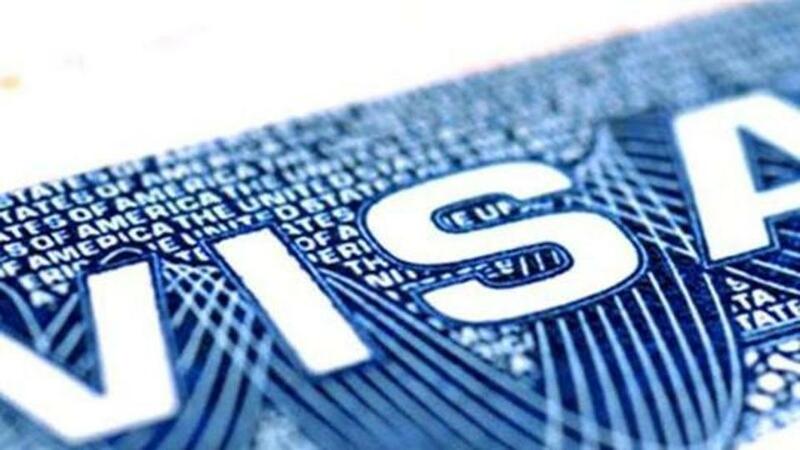 Once your OPT expires, you ultimately will have to apply for H1B visa, which as per President Trump is a route to take entry-level IT jobs from Americans, and in favor of the relatively cheap workforce from overseas. More importantly, the H-1B visa used to work on a lottery system. This is actually bad for deserving candidates. Read the unfortunate story of How the Old H-1B Rule Made the Life of Sudhanshu Shekhar Difficult to Get Jobs in the US. The US is still an excellent destination with great post-study work opportunities for international students who want to study science, engineering, liberal arts, business studies. It’s a myth that international (Non-EU) students cannot stay and work in the UK anymore. The post-study work opportunities are still there in the UK. It’s just that the rules are much more stringent now. 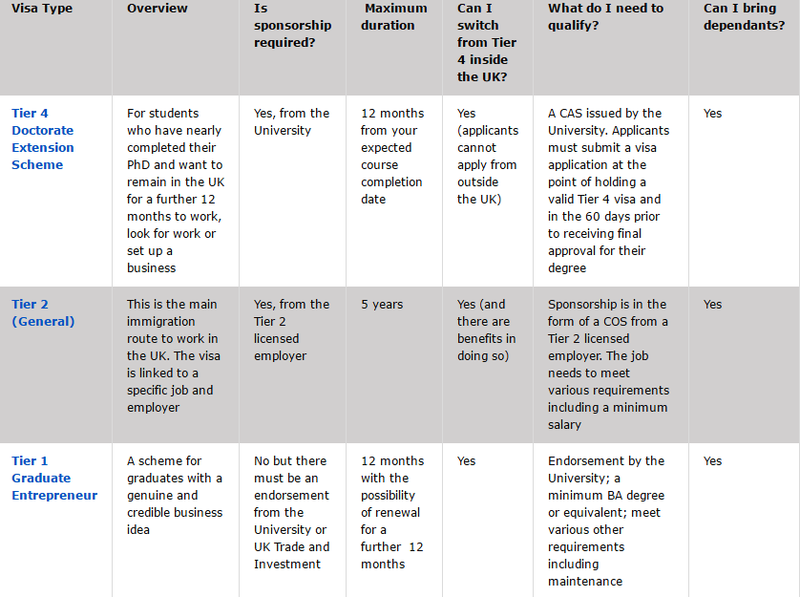 Below is the snapshot of the post-study work opportunities for international students in the UK. The UK is the second most popular study abroad destination for international students after the US. International undergraduate students, including those from India, rate the UK number one for student satisfaction, ahead of the US, Australia, Canada, Singapore, and New Zealand. Job opportunities for the international students in the UK are good in Business & Admin Studies, Engineering, Social Studies, Biological Sciences, Law, Creative Arts & Design, Medicine & Dentistry, Subjects Allied to Medicine, Computer Sciences, Physical Sciences. Another great opportunity would be there if you study a Masters program at the University of Oxford, University of Cambridge, University of Bath or Imperial College London. There has been no significant change in immigration policies in Canada. The post-study work scheme in Canada allows you to stay in the country for a maximum period of 3 years. The stay of the post-study work will be of the same duration as your program, but not more than 3 years. The Post-Graduation Work Permit Program(PGWPP) allows international students (graduated from a recognized Canadian Institute) to seek employment in Canada. Later on, the work experience gained through the PGWPP can help graduates to qualify for the permanent residency in Canada through Express Entry. Know more about Post Study Work Opportunities in Canada. Germany is another destination with excellent post-study work opportunities for the international students. You can stay in the country for 18 months after finishing your course. You need to apply for an 18-month Residence permit from your local foreign nationals’ registration office to look for a suitable job (relevant to your qualifications). During these 18 months, you may take up any kind of employment to support yourself and fund your job search. Once you get a job relevant to the course you studied in Germany, you can apply for the German Residence permit or an EU Blue Card. Please be advised that the post-study work opportunities are for international students who do their postgraduate studies from Germany. Know more about working opportunities in Germany. The fact that Germany does not charge any tuition fees for the international students, makes Germany a lucrative study abroad destination for international students. Know why Germany educates international students for free. The quality of education, research, and training in Germany is one of the best in the world. 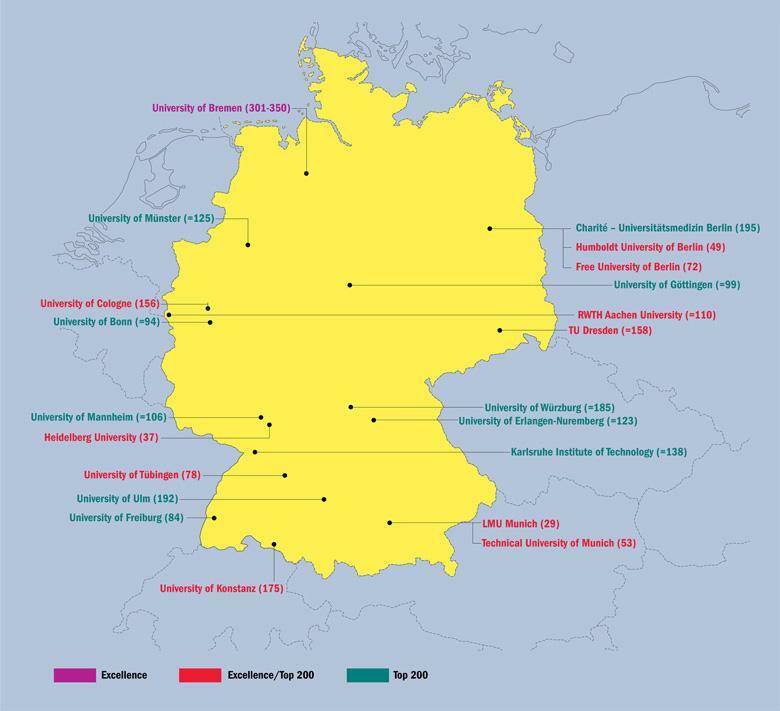 Several German universities feature among the Top 200 Universities in the World (QS & Times Higher Education). The post-study work permit rules are excellent. Once you have the EU Blue Card, you can also take up employment in the other EU countries like Netherlands, France, Sweden, Italy, France etc. So, a Masters degree from Germany is always an excellent option for the international students. Ireland offers 12 months of stay back for all international students finishing a Bachelors degree in Ireland. Postgraduate students are allowed to stay for 24 months. Irish degrees are very aligned to the industry needs, hence making Irish graduates very employable. The IT, telecommunication, pharmaceutical, applied sciences, and finance sectors are very strong; and they provide excellent career opportunities for international students. Ireland hosts EU, EMEA headquarters and operating hubs of leading companies like Accenture, IBM, Dell, Motorola, HP, Apple, Facebook, LinkedIn, Twitter, Google, Microsoft, Pfizer, PayPal, Genzyme, DCC, Oracle, Covidien, Smurfit Kappa, CRH and many others. International students need to obtain a Pass (Visit Pass) to stay in Singapore and search for jobs for a period of maximum 12 months. Once you get a job, you need to apply for the Employment Pass. During studies, several colleges and universities in Singapore offer internships as a part of their curriculum. If you get admitted to a top institute you can gain hands-on experience as the institutes have got excellent tie-ups and links with the industry. 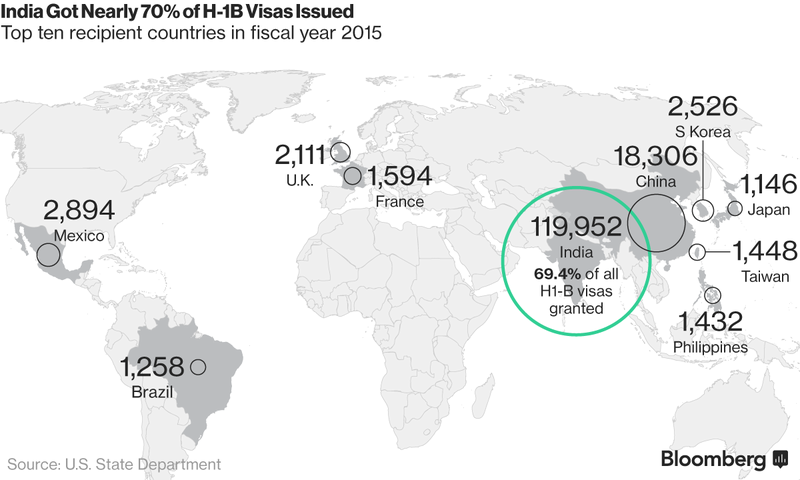 Singapore has been blocking visas to Indian IT professionals. So, employment scenarios are not too clear. But, opportunities are there in ICT, Finance, and Hospitality. Know more about the post-study work opportunities in Singapore for foreigners. New Zealand also offers a stay back opportunity of 12 months. However, being a small country, the availability of jobs is tricky. If you are studying a degree in the fields of hospitality & tourism, animation, food science & agriculture, then your chances of finding a job are very high. New Zealand has been tightening its student visa rules of late. However, it is unlikely to affect the genuine and talented students. Know more about post-study work in New Zealand. France is another European country that is gaining good popularity as a study abroad destination. However, if you are looking at to do Bachelors from France, then it might not be among the top choices. Bachelor degree holders can stay on only if they have a work permit (or at last hold an offer of paid employment). But, foreign students with Master’s degree ct can apply for and get a temporary residence permit (APS), for a period of 24 months. France introduced a special two-year residence permit for Indian graduates in 2015. 0 responses on "Best Countries with Post-Study Work Opportunities For Indian Students"